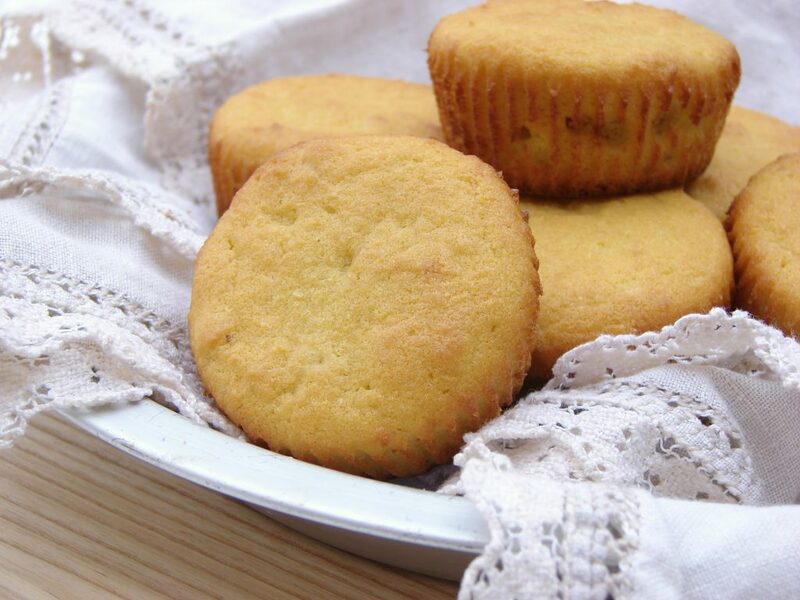 Yes, Paleo Cornbread is an unabashedly explicit oxymoron. But these taste uncannily like cornbread to me. I must offer a disclaimer, though… it’s been a long time since I’ve had real cornbread, so my perception is a bit skewed. 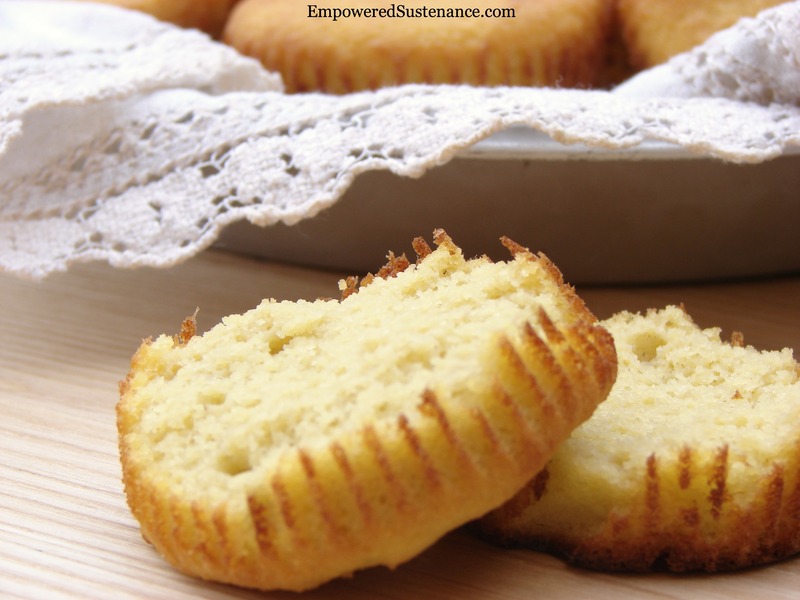 So call them what you will– Paleo Cornbread or Coconut Flour Muffins. Either way, these grain-free muffins are simple and ridiculously tasty. Preheat the oven to 350. Line 10-12 muffin cups with liners, I like these unbleached parchment liners. Have all ingredients at room temperature (if the eggs are cold, the batter will not form). Combine all ingredients until smooth. Divide between the prepared cups and bake about 20 minutes, until a toothpick comes out clean and the top springs back when lightly pressed. I’m actually allergic to corn so I’m excited to try this recipe because I miss having corn bread. Thanks for posting this! These are really good. 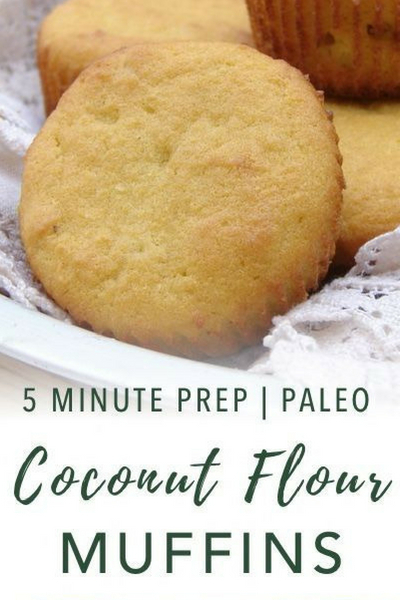 They don’t really taste like coconut like other coconut flour recipes I’ve tried! These will be great as a base muffin. I can do savoury ones with cheese or vanilla + chocolate chips … Although they taste great as is! I toasted them with ghee. Can I get some nutritional information for this recipe? (being lazy!) They sound great but I’m low carb. good to know that subbing the sweetener (erythritol or stevia?) for the honey works! Can I sub flax eggs, as I can’t eat eggs. No, egg substitutes won’t work in this recipe as the coconut flour is finicky and requires real eggs as a binder here. I tried making half the recipe to make exactly half the quantity. But, even though I followed everything otherwise, the muffins were still wet inside. I gave them even 10-15 minutes more but, they remained wet inside but, burnt on the top and bottom. Can’t I make half the recipe. I tried it 3 different times but, same result. Please help.